Stopped to take a few images yesterday morning. A bit chilly and time was very limited but that is always the case so made the best of it. I’ve told myself I’d like to shoot more kids sports this summer. All activities really but I’ve wanted to do some baseball. 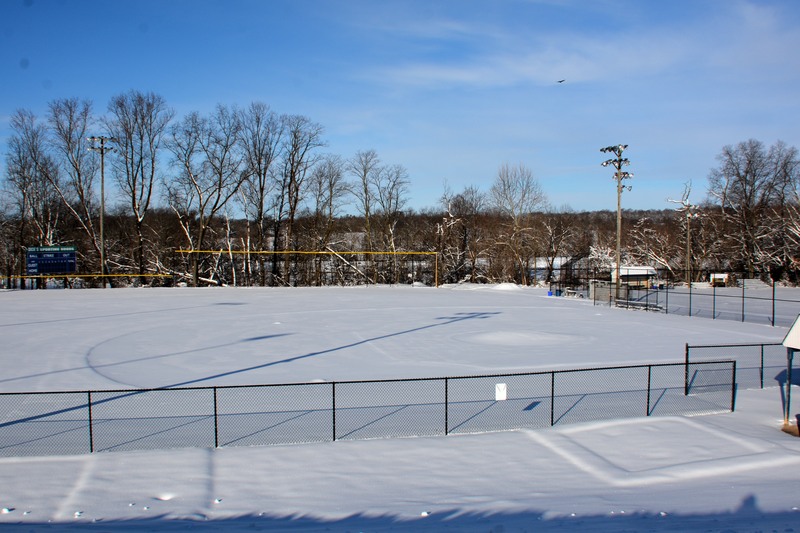 And being today is Opening Day for HCYP I thought I’d go take a look at the fields. Houston, we have a problem. 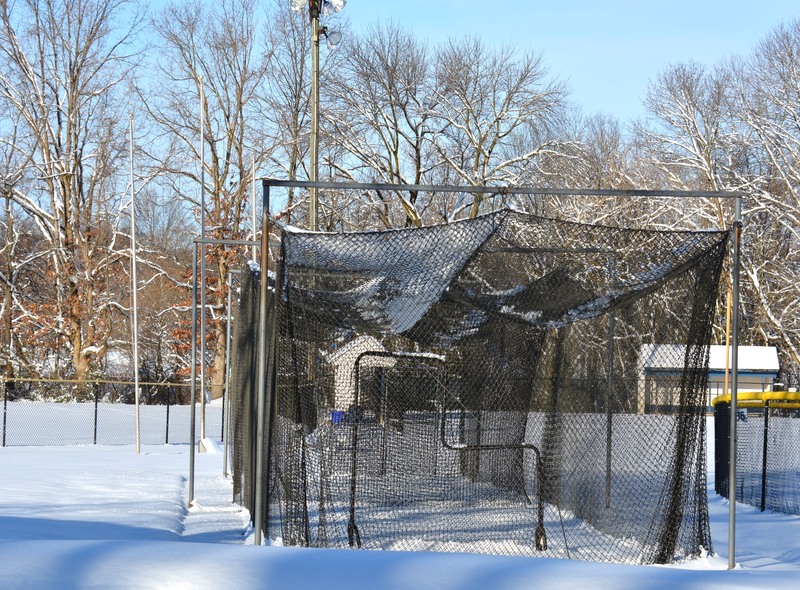 Could I get someone to shovel the batting cage please. Shovels to the batting cage please. And we also might want to consider changing the color of the ball because if someone hits a grounder, we are going to have the first inside the infield home run. But don’t fret. Mother Nature will be taking care of these fields soon and the crack of the bat and snap of the glove and the joy of the kids playing will return. Remember parents, keep it under control. I know its hard, but your kids will be learning a good lesson on and off the field. Plows to the field please. Well I guess its best to wait for mother nature. So maybe you’re considering jetting south away from the snow. I know as I looked up at this plane streaking across the sky in a southward direction I seriously thought that this might be in the plans for the next winter season. Because I’m having summer withdrawal symptoms and I need some SUN and WARMTH. Its been far to long without them. 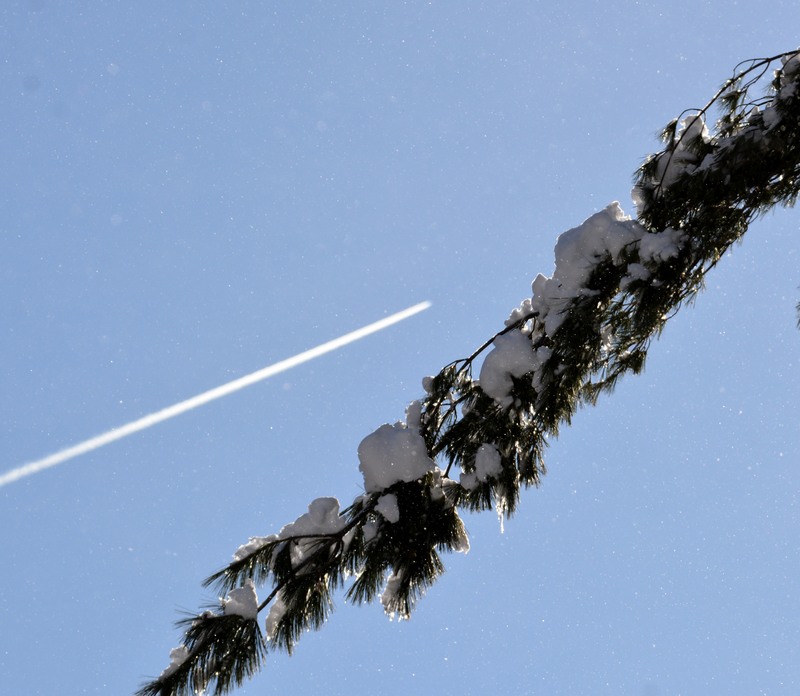 Snow on the trees, Grab a flight south. 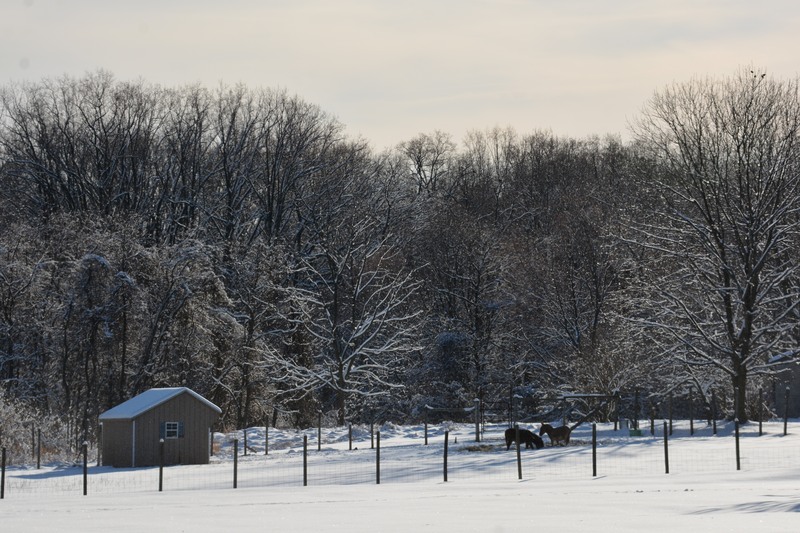 But then if I’m down south in sunny Florida I’d be missing peaceful scenes like this on a snow-covered morning so I guess I’ll hang in Maryland another winter season. Just past the neighborhood of Allenford on Rt 99. All I know is that it felt good to have the camera in my hands again. But boy am I rusty. Got to get the mojo back. And half of that battle is attitude and mindset. The ability to open my eyes wide and keep the head on a swivel. Well enough of that. Got a guy coming to give me an estimate to take down several large trees. That is going to set me back. I ended my day with a dentist appointment yesterday and started today off with one. Isn’t life just great? I can’t complain in that area though. Had very few problems with the choppers. A person who needs advisors who only believe and support your position aren’t advisors, they are lap dogs. I would go look at what the liar and chief has been up to, but I don’t want to get depressed.